The Biodiversity Action Day at Mt. Suswa was to create awareness about the importance of biodiversity, and about sustainable development opportunities for the Maasai communities. 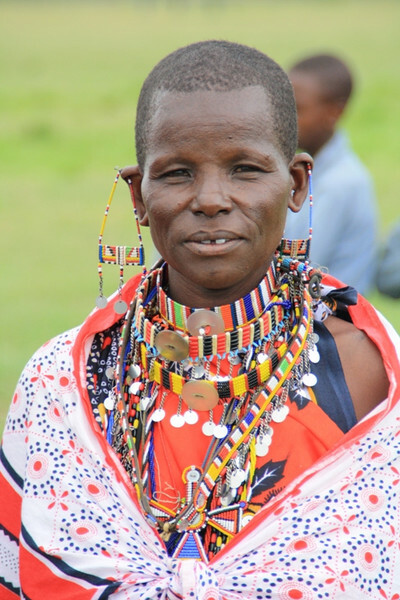 Population increase and unfavorable weather conditions in the last years have made it difficult for the Maasai to live in harmony with nature. Increasing demand for firewood as well as land for livestock and agriculture have resulted in deforestation and high pressure on the Mt. Suswa ecosystem and its biodiversity. 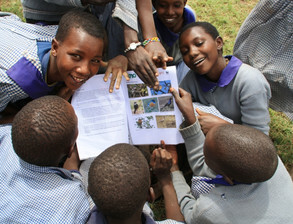 The Action Day was organized at the compound of Kisharu Primary School, in a joint effort of the Promotion of Private Sector Development in Agriculture (PSDA) programme implemented by the German Technical Cooperation (GTZ) and the Ministry of Agriculture (MoA); the Lake Naivasha Landscape Project of the World Wide Fund of Nature (WWF); the Mount Suswa Conservation Trust; the Centre for Pastoral Development (CEPAD); SUSTAINET, a network promoting conservation agriculture; the elders of the Maasai community; and teachers of Kisharu Primary School. 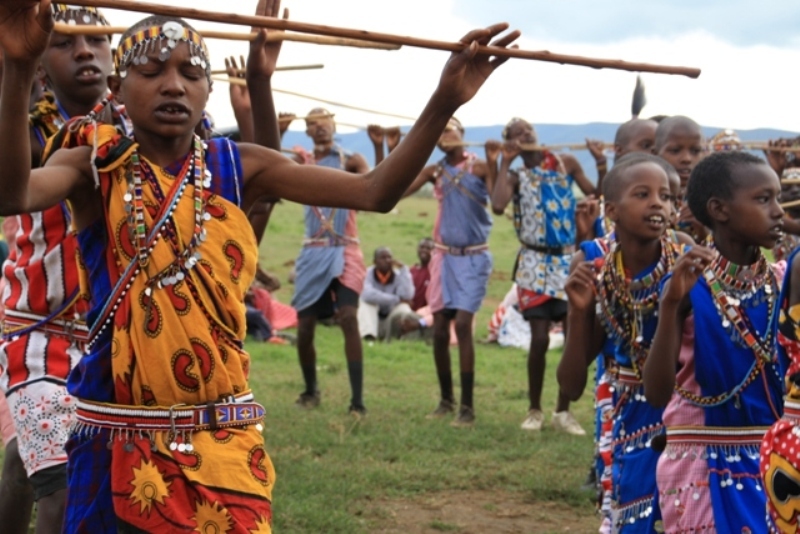 Over 250 Maasai joined the event that consisted of five different group activities, poem and painting contests, and listened to several speeches. Group 1: Bird- and other Wildlife Monitoring (PSDA). While hiking from Kisharu Primary School to the inner crater of Mt. Suswa, the group observed the bird- and wildlife found in Mt. 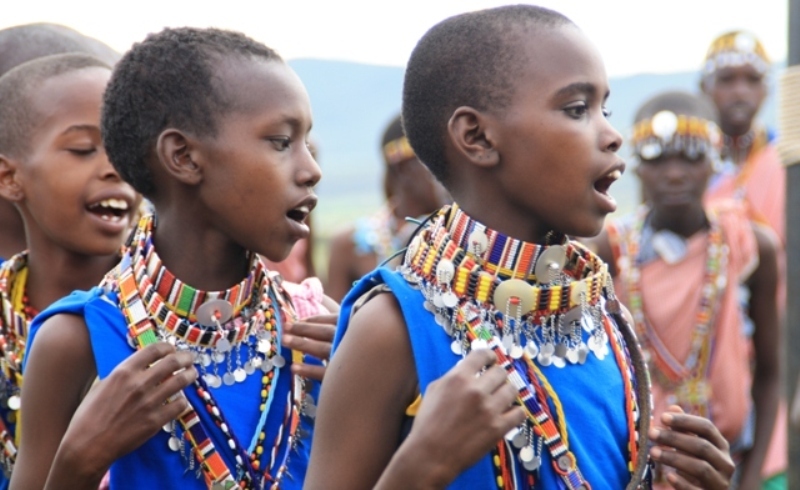 Suswa and discussed their values to the Maasai communities. They spotted several birds (Rufuos Naped Lark, Augur Buzzard, Superb and Hildebrandt’s Starling, Variable Sunbird) as well as many insects and several reptiles. A good example of a tangible benefit that humans receive from birdlife is the control of pest levels by feeding on insects. The migrant White Stork (Ciconia ciconia) who breeds in Europe and Asia usually arrives in East Africa in October and departs between March and May. During the storks' last stay in Kenya, they came just at the right time to face large numbers of the Army Worm (Spodoptera exempta). This African moth is capable of destroying large areas of agricultural crops and pasture, and it has only very few natural enemies. The White Stork however is feeding on them, thus contributing to regulating Army Worm occurance. 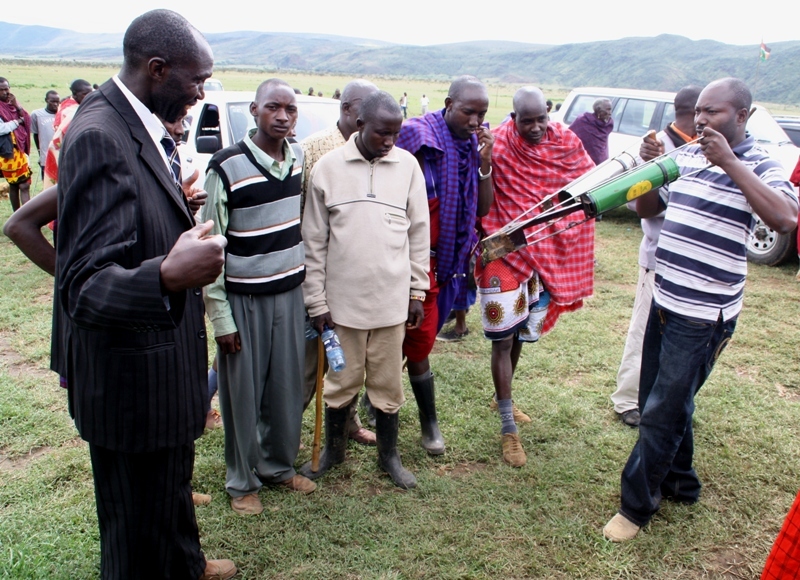 This benefit has been acknowledged and enjoyed by the Masai in Mt. Suswa. Group 2: Cave exploration - The "Baboons' parliament" and bats. Members of the Mt. Suswa Conservation Trust and CEPAD went to explore parts of the Mt. Suswa lava tube cave system that consists of more than 40 collapsed holes in an area of less than 278 ha. These rare volcanic lava caves are home to a large family group of baboons (Papio anubis) that retrieve to the caves over night. There rock formations are used by the baboons as seats, hence the "baboon parliament", and there is even a speaker's chair! Other wildlife found in the cave are bats (e.g. Martienssen’s Mastiff Bat, Otomops martiensseni), and various animals regularly visit the system such as lion (Panthera leo), leopard (Panthera pardus), spotted hyaena (Crocuta crocuta), civet cat (Civettictis civetta), and Barn owls (Tyto alba). The participants also discussed the potential of Mt. Suswa with its wide variety of micro ecosystems and unique landscape of the Mt. Suswa caldera double crater. 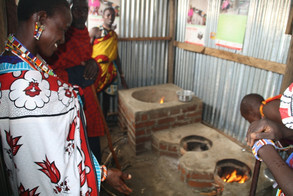 Group 3: Firewood Saving Stoves (PSDA).The group converged next to the newly built school kitchen that has been completed with a new institutional rocket brick stove and two kisasa stoves. On the display were metal cladded jiko kisasa, a fireless cooker, posters, brochures and jiko calenders. 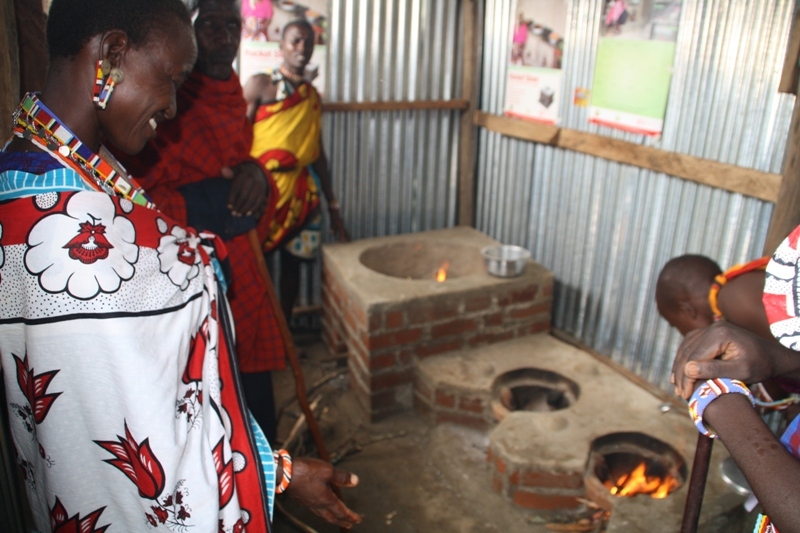 The participants were sensitized about GTZ/PSDA's activities on energy-saving stoves, and trained to use the recently installed institutional rocket brick stove and two kisasa stoves in the school kitchen. A marked difference was noted between the fuel wood used by three stones and the improved three stone which were all lit at the same time. Demonstration on how to use a fireless cooker was on rice preparation. Finally, two nearby homes with installed jiko kisasa were visited. 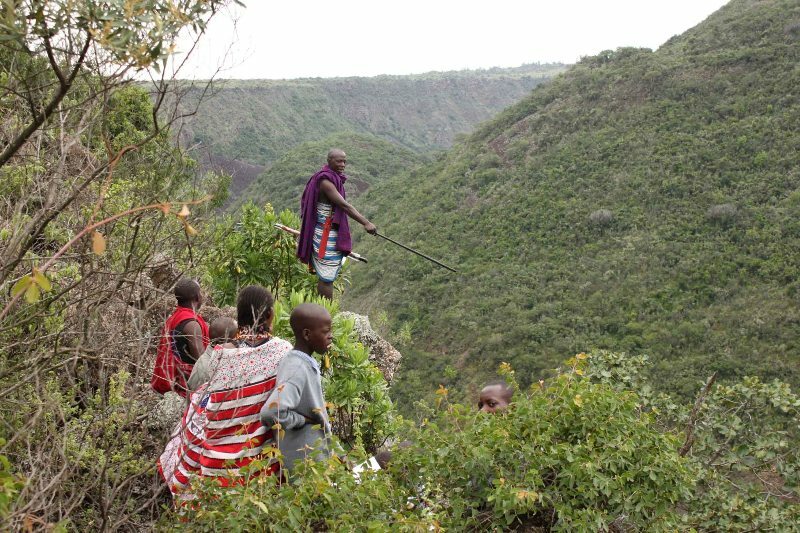 The Maasai home owners confessed that when using three stone fireplace they used to fetch firewood eight times as compared to only two visits to the forest to fetch firewood since they installed kisasa jikos. They also said they have less eye problems due to significantly reduced smoke emissions in their manyatta. Group 4: Potentials of Conservation Farming (SUSTAINET). While visiting two maize shambas, the concept of Conservation Agriculture was introduced to the group as a mitigation strategy towards enhancing their resilience to effects of climate change. The importance of biodiversity in so far as conserving soil micro organisms through CA leads to increased soil fertility, better and sustainable yields. 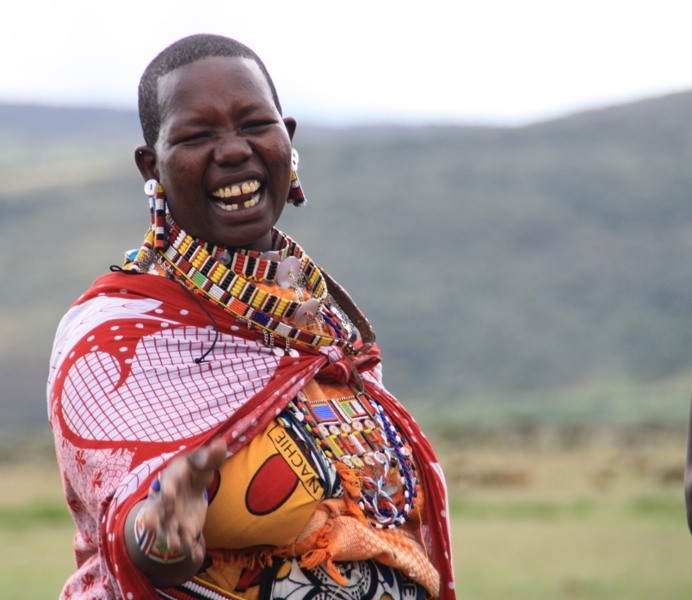 The Maasai farmers learned about the practical application of Conservation Agriculture and how it would bring a difference with regard to profitability of their farm business. Group 5: "Planting of Trees"(WWF). 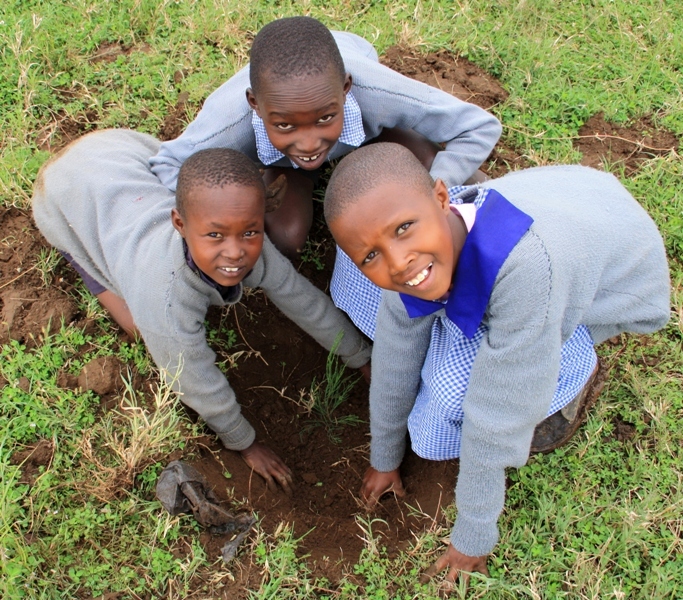 With over 200 tree seedlings provided by the Centre for Pastoralist Development (CEPAD), experts from WWF advised the school children and other guests on tree planting. Fences protect the trees against sheep and goats that are on their constant search for vegetation. 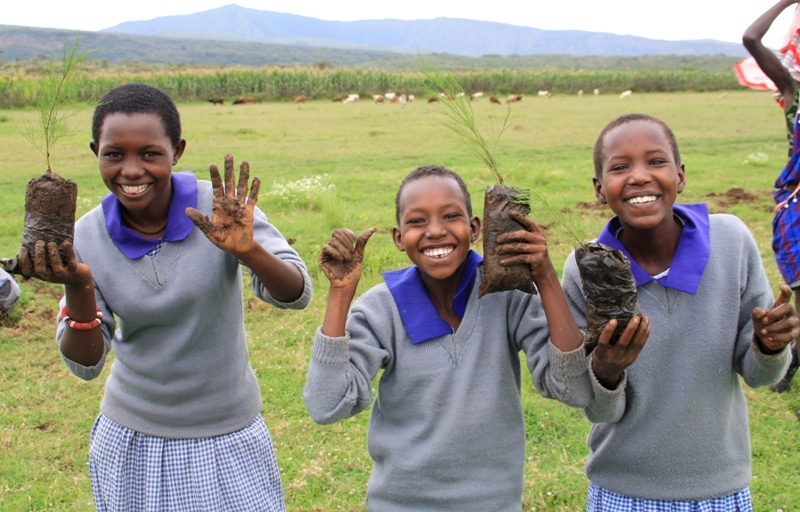 The trees also provide shade around the Kisharu Primary School, and contribute to cleaning air and water, prevent erosion which is a serious and widespread phenomenon in Mt. Suswa, and serve insects and birds as micro-habitat. All participants showed great interest and enjoyed the different activities. During and after the traditional lunch (grilled goat), biodiversity was the main conversation topic. Children asked questions and read information papers, adults discussed about the benefits of energy saving stoves and sustainable agriculture, and observed changes of the flora and fauna. The rich exchange of information created an inspiring atmosphere. 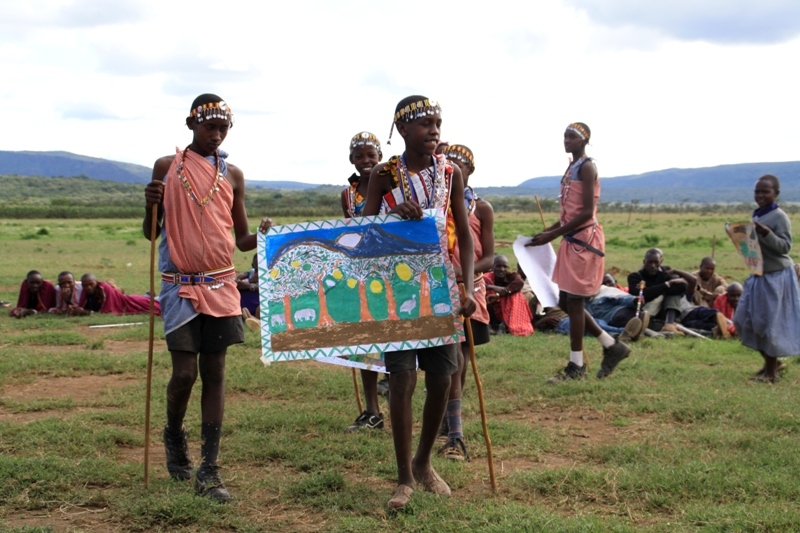 The Elders called for taking the environmental problems seriously, experts underlined the chances of connecting biodiversity with development, and students presented their paintings and poems about biodiversity. The proud winners and the school itself were awarded with wildlife education books, and with a GTZ-sponsored trip to the International Biodiversity Day in Nairobi on the following weekend. After a day of action, everybody returned home enriched by new knowledge and experiences of how fragile the hidden beauty of Mount Suswa is and why it needs to be protected. WWF in collaboration with the Promotion of Private Sector Development in Agriculture (PSDA) organized a local Biodiversity Action Day at the Kihoto grounds on the fringes of Lake Naivasha on 15th May 2010. The aim of the Day was to raise awareness about the significance of biodiversity for the development of the Lake Naivasha landscape, and to demonstrate opportunities for solving the dilemma between development and sustainability. This landscape has gone through rough patches owing to the drought caused by global warming and inappropriate land use practices in the upper catchment. The drought led to the deaths of tens of thousands of livestock and wildlife, and thousands of acreages of forests were lost to fires. Lake Naivasha receded to unprecedented levels in recent times, severely affecting local fisheries and horticulture, the bedrock of the region’s economy. 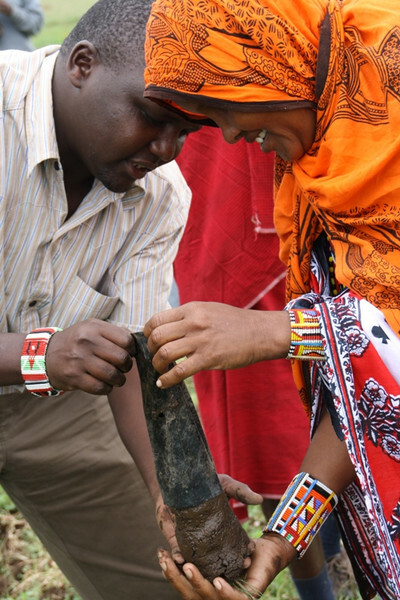 This brought to fore the need to protect the existing biodiversity to sustain human livelihoods and development. Over 400 people attended the event, which was presided by Ms. Alice Kaudia, Environment Secretary of the Ministry of Environment and Mineral Resources. Following powerful messages on the importance of biodiversity the Guest of Honour and Environmental Groups, the Environment Secretary led the participants to a tree planting exercise at a nearby school. Prior to that, a group of 10 selected students from various local schools had undertaken a 4-days analysis of the regions' ecosystem and how it contributes to human development. A whole lot of partners contributed to the success of the event, including the Oserian Development Company, Homegrown, Lake Naivasha Growers Group (LNGG), Panda Flowers, the Municipal Council of Naivasha, the Naivasha District Commissioner’s office, the Naivasha Watershed Conservation Project NAWACOP, Elsamere, the Kenya Wildlife Service( KWS), Naivasha Partners for Change, KENGEN, the Nakuru Wildlife Conservancy (NWC), the Lake Naivasha Riparian Association ( LNRA), the Naivash District Schools Patron Environmental Network (NADSPEN), the National Environmental Authority (NEMA) and the Naivasha Partners for Change. Group 1: "Effects of Human Activities on Biodiversity in the Upper Catchment of Lake Naivasha." Generally, biodiversity was found to be used for food, medical use, timber, firewood and aesthetic value. However, decline in species diversity was noted, due to human influence and lack of land use regulation. The stability of the ecological zones is affected by human activities such as agriculture, livestock farming, settlement and quarrying. More diversity occurred on the remaining natural habitats as compared to the human created systems. Environment education should be enhanced to promote biodiversity conservation. Programs to promote recovery and conservation of biodiversity should be initiated. Group 2: "The Shrinking Home." The aim of this group was to identify and recognize the importance of plant and animal species in different zones within the lake ecosysytem. Lake Naivasha is a Ramsar site with freshwater that is rich in biodiversity. The lake is situated on a high altitude of about 1890m above sea level. It has 3 inlets: Rivers Malewa, Karati and Gilgil and an underground outlet. The lake covers approximately an area of 145 square kilometers with a depth of 8-9m. It’s a habitat to various plants and animals and supports small as well as large scale economic activities, chief of which is horticulture. The lake is also a famous bird watching paradise with over 350 different bird species. Apart from the main lake, there are three other, chemically distinct basins within the ecosystem: slightly alkaline Olioden lake, deeper fresh Crater Lake, and Cresent Island lagoon, which formally was one lake as recent as 1982. Due to climate change and increase in human population leading to increased activities. There was low wild animal diversity from the riparian zone to the plateau. This is mainly because of the invasion by human beings and land privatization. The remnant forests blocks were within private properties. Natural ecological zones have shrunk in size due to land conversion from natural vegetation to agriculture and settlements. This has resulted to modification of the indigenous species to the exotic species. There is increasing settlement and development in the upper catchment. This was noted from the quarrying, construction and clearing of vegetation. There was also human settlement and cultivation very close to the river banks. The color of the water was reddish brown which was attributed to silt load in the water. Cultivation on high gradient land was also observed. This poses a major threat to biodiversity of the area. There are a lot of interventions by NGOs such as the WWF, LNRA, NAWACOMP and Government institutions, which need to be enhanced to ensure that the biodiversity of the areas is preserved. 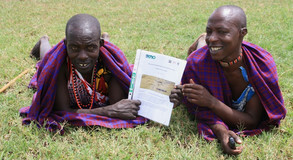 Promotion of programs such as Payment for Ecosystem Services (PES) to help preserve the remaining forest blocks. Overall, it became crystal clear that the lake is very important to the country and the world at large for its biological diversity and fresh water resources. It supports essential socio-economic activities that add to the countrys Gross Domestic Product (GDP), justifiable in Tourism, Horticulture and geothermal power station. On the other hand the lakes' ecosystem is facing severe challenges and threats. Joint efforts should therefore be enhanced by both local and international communities, spearheaded by one body that can manage it holistically.